Last year, several Knights of Columbus supported the 40 Days for Life campaign in Dallas by standing in prayerful vigil outside the Southwestern late-term abortion center, where God's precious children are aborted up to 25 weeks (6 months) of pregnancy! Among those of you who sacrificed your time, there were many who participated in the nighttime hours to ensure the abortion center remained safely and consistently covered in prayer, including 4 Knights who valiantly offered up 24 hours of continuous prayer to the Lord! This Fall, we are again in need of your support to make the 24/7 prayer vigil from September 28 to November 6 a success. 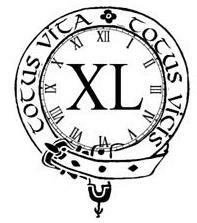 And we are excited to announce a new program -- The Order of the Hours -- developed by your Brother Knight (and 40 Days for Life-Dallas Event Coordinator) Reg Platt to recognize your unwavering commitment to advancing a Culture of Life. Below are the designations which will be awarded to each Knight who completes one of three levels of support during the 40 Days for Life-Dallas campaign. 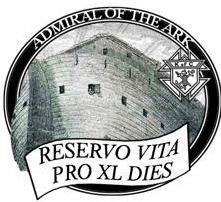 Admiral of the Ark – Presented to Knights who maintain a vigil for an entire 24- hour period. 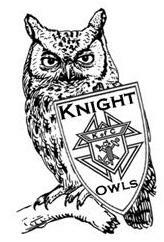 A team of at least 2 Knights required, ideally 4, in order to keep each other alert and safe. To learn more about the 40 Days for Life-Dallas campaign, join us tonight for the Cast the Vision meeting at 7 p.m. at Gaston Oaks Baptist Church, 8515 Greenville Ave., Dallas (across from the vigil site). More information is also available at www.prolifedallas.org/40days . Thank you again for your commitment to Life. I look forward to standing and praying with you on the sidewalk. P.S. Don't miss the 40 Days for Life Kickoff Rally on September 27th at 6:30 p.m. at Harry S. Moss Park, 8000 Greenville in Dallas (corner of Royal & Greenville), featuring the powerful pro-life testimony of Ramona Trevino, the former manager of the recently-closed Sherman Planned Parenthood!